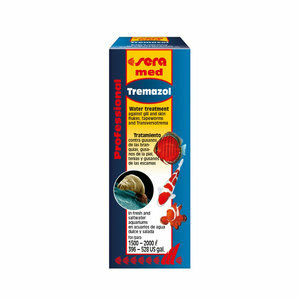 Sera Tremazol (formerly Moneol) is a ready-to-use solution to fight parasitic flatworm infections with aquarium fish. The drug ensures quick therapeutic success and is well tolerated by the fish. General signs of an infection with parasites are scratching against decorative objects in the aquarium, jammed fins, rapid breathing, feeding reluctance and slimming, reduced mobility, and darkening of colours. If the fish are affected by gill worms they breathe rapidly, in some cases one gill cover is raised more than the other one. An infection with skin worms is typically diagnosed by the fish holding back the tail fin and scrubbing against decorative objects in the aquarium. 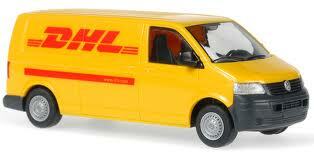 In case of tapeworm and scale worm infections the fish usually lose weight. If possible, it is recommended to have the diagnosis secured by a microscopic examination of smears of the skin or gills or of fish excrements. If the fish are affected by gill worms add 1 ml Sera Tremazol per each 15 litres of tank water. Pour the substance from the dosing mug into the water spreading it all over the surface and stir it quickly by means of a spoon or stick. At least 80% of the water must be replaced about 8 hours after the treatment. If the water gets dull before, do the water change immediately. Carry out a second treatment with subsequent water change after 8 days. Two treatments each will be necessary to cure gill worms, as these parasites produce eggs in which the embryos cannot be reached by the pharmaceutical substances. The second treatment hits the then hatched worms, too. In case of skin worm, tapeworm and scale worm infections give 1 ml Sera Tremazol per each 20 litres of water into the tank. A single treatment will be sufficient for skin worms, which do not produce eggs, and for tapeworms and scale worms. At least 80% of the water must be replaced about 6 hours after the treatment. Tremazol was formerly known as Alpha-Biocare Moneol.